Your employees know their net paycheck to the penny. You, as an employer, know the cost of wages to the penny, but you also know "the rest of the story" as it pertains to the other piece of total compensation - BENEFITS. Benefits are viewed as part of an employee's total compensation and thus should be designed to help a company earn a profit. Benefits should assist in improving recruitment, retention and productivity. When asked to guess the total value of their benefits, employees error by thousands of dollars. According to the U.S. Chamber of Commerce, employee benefit costs account for more than 44% of payroll expenses! When asked to name the core benefits being provided, many employees are unable to name them all: medical, dental, life, disability, retirement, vision, cafeteria plan, holidays, vacation, statutory and more! Yet, companies continue to spend thousands of dollars per employee annually and "the rest of the story" goes untold. We understand benefit education takes place at certain times of the year in your company. Our clients have experienced an increased ROI from their benefit package after adopting our services. We can help improve how consistently your company's "total compensation" and "benefits" story is being told. An effective benefits communication program consists of a number of components. Corporate Benefit Specialists can provide the necessary ingredients for successful and consistent employee benefit communication. Simply handing out benefit statements or mailing them to employees inhibits the full effect which can be obtained through the use of employee meetings. Group meetings include a multi-media presentation highlighting benefits, company costs and answering questions. Each department, shift and location receives the same message while Corporate Benefit Specialists acts as an extension of your human resources department, bringing outside objectivity that is well received by employees. 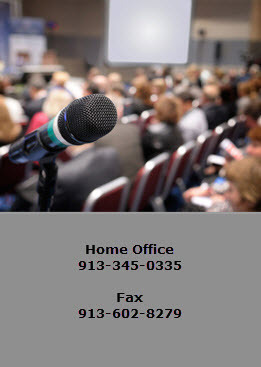 Be sure to ask us about the variety of meeting options that are available. Our current clients find these to be especially successful and responsive to their specific business needs. Our experience has discovered those employees who have the opportunity to meet one-on-one with a benefit counselor are prepared to make informed benefit decisions, resulting in an appreciation and understanding of their benefits and how they relate to their total compensation. Salaried benefit counselors with many years of benefit training and experience meet briefly with each employee to review their benefit statement, further enhancing the impact and understanding of their benefits. Our benefit counselors will answer employee questions and when necessary, follow up with timely accurate answers. Benefit counselors can provide additional services to include: core benefits, cafeteria plan, data cleansing, 401(k), etc. along with any other communication services requested. A multi-page analysis statement detailing all figures on each statement will be provided. This is an excellent tool for budget analysis which can aid in overall benefit plan design. Employee-funded supplemental group insurance products continue to be an important component in the majority of benefit programs today. As benefit costs continue to increase, companies must look for ways to mitigate these increases. Supplemental benefits help companies reduce the pressure to increase spending for wages and benefits. As group benefit plans treat most employees the same and cannot take into consideration each employee's individual circumstances, supplemental benefits can be tailored to meet the individual needs of your employees. Because we are an independent broker, we can represent any insurance company and any products you wish to provide your employees. We will study your overall benefits package. Depending on whether or not there are existing supplemental benefits in place, we will provide a proposal listing which employee-funded group insurance products complement your benefit package. We typically recommend initially only offering two or three which can be chosen from the following menu we have found to be popular: short-term and/or long-term disability insurance, group life insurance, critical illness, cancer, accident, dental, and hospital indemnity. Below are the primary benefits and reasons for the popularity of supplemental benefits. With single parent families, dual income households and time constraints, employees find it difficult to identify quality group insurance products. Employer sponsored, employee-funded supplemental group insurance products can help solve this dilemma. Our trained salaried benefit counselors will answer employee questions and assist those interested in obtaining benefits being offered. Supplemental benefits are very popular. Our clients see this combination of benefit statements and supplemental benefits as a method to provide benefit communication and satisfy necessary insurance needs of employees. Your employees will appreciate the convenience of these products offered through work. Moreover, as the employer, you are able to round out employer provided core benefits without any additional financial strain on your budget. For further information explaining how combining benefit communication utilizing benefit statements and supplemental benefits can be accomplished with little if any expense, please visit our FAQ area for details.